This blend of 50 / 50 camel and merino is one of our best sellers. 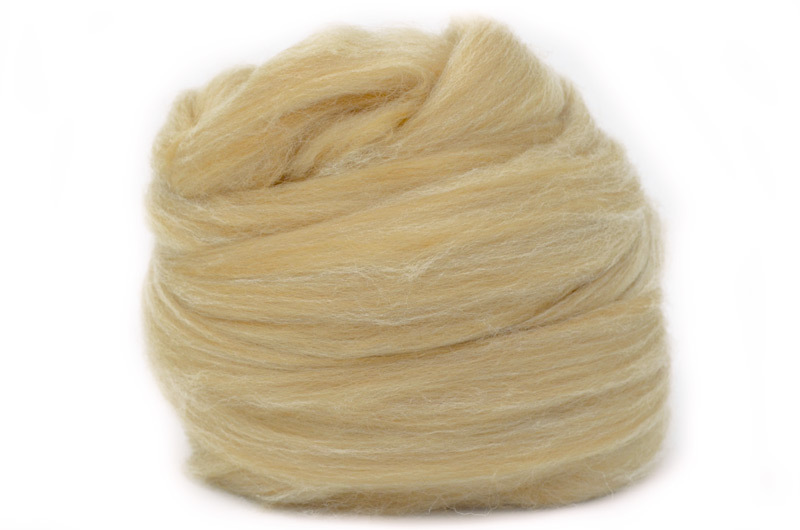 It combines the gentle feel of the soft camel with the well established properties of our standard 70s white Merino. The result is a blend that can be put to many different uses where that little touch of of luxury is needed. The natural shading of the camel gives a lovely effect when spun straight from the tops.